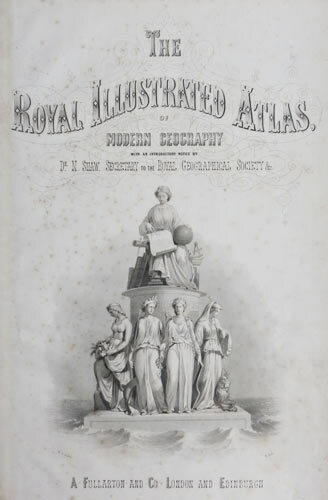 The Royal Illustrated Atlas of Modern Geography. London, c.1863. Steel engraving. 445 x 300mm. Some spotting. Engraved titlepage with female allegorical figures representing the arts and sciences. This is a genuine antique print, published at or about the date specified, but guaranteed over 150 years old.